This book measures 7 1/4" x 4 3/4" and has 132 pages plus colophon. The text body is Scotch Roman printed on Roycroft handmade paper. The regular edition of this book was bound in various manners including; paper over boards with a paper label, Alicia and full suede and printed on Roycroft handmade paper. The modeled leather and the 3/4 Levant edition are not listed in McKenna and both were printed on Japan Vellum. The title page, text initials and tailpieces were designed by Dard Hunter. 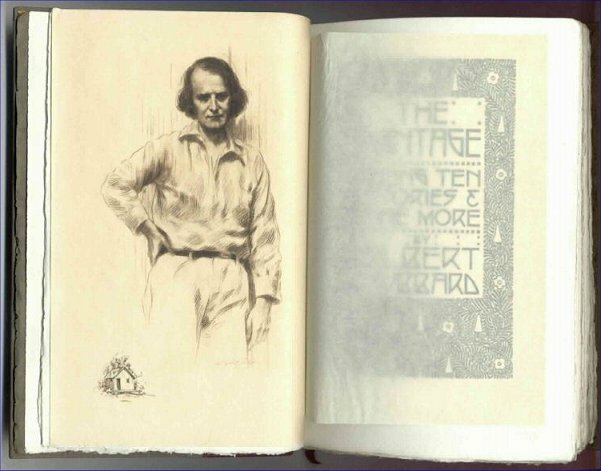 The book also contains a photogravure of Elbert Hubbard. 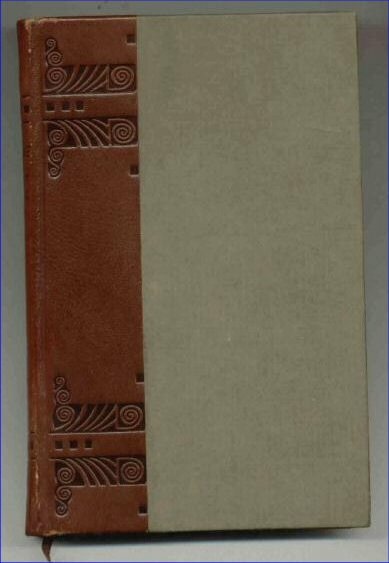 The blind stamped half leather binding shown above is another variant not listed in McKenna.